I grew up in Orange County studying human biology at Biola University. My dad was a dentist, my mom was in herbal medicine, my uncle was a chiropractor, and so I thought my path would also be in the medical field. However I never had a passion for medicine and I found that the more I studied in the healthcare field, the more I discovered this was not something I wanted to spend the rest of my life doing. I began to learn how to build websites and drive traffic using the power of social media and eventually just went all in on Instagram to learn the ins and outs of it through networking, spending countless hours everyday learning from others, and also by experience. 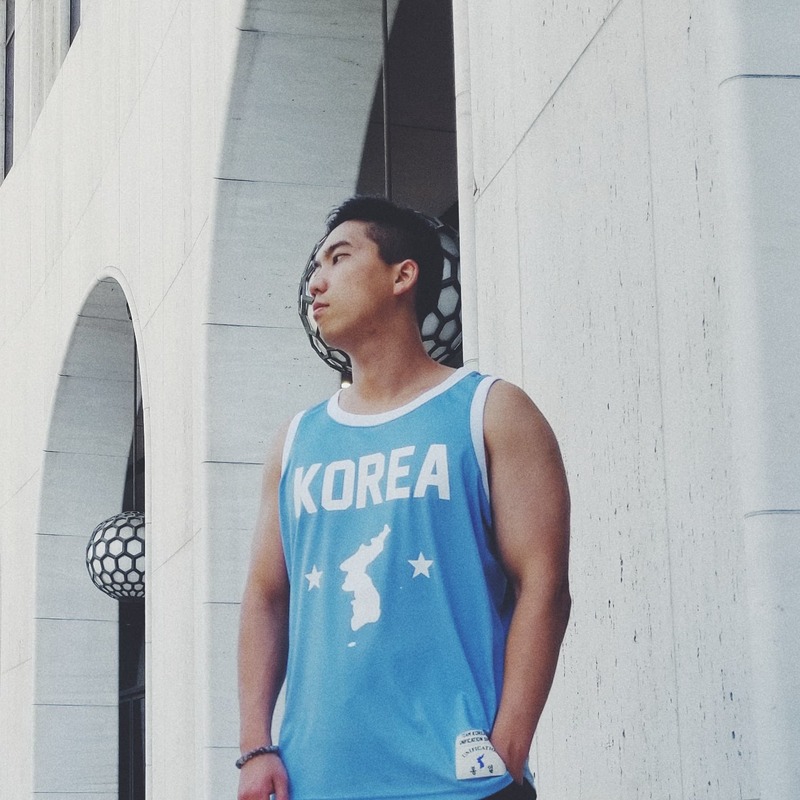 Now I’ve built over hundreds of thousands of followers, built my personal page @ray.ahn to over 50k followers without paying for any shoutouts, and have built my podcast interviewing big names in entrepreneurship and social media. I never knew how to do any of this 2 years ago but by putting in the time, effort, and money to learn no matter what it took, I was able to get to where I am today. What were some hard lessons you learned along the way? One thing I’ve learned is that the only person you can truly depend on is yourself. People will come and go and those you thought were friends or trusted may turn their back or end up not helping you anymore. At the end of the day, you have to built up your value as a person and in your skills so that people will come to you instead of you going to other people. I learned that building my personal value and worth is way more important than building someone else’s because you’re going to be the only person that will be there for you at the end. I’ve also learned that more than learning by courses or from other people, the best way to learn is through experience and by getting your hands dirty. It took me years to build the network and experience I have today, but the important key to success for me was to not give up, believe in my vision and mission more than my fears and doubts, and to follow my intention for wanting to help and empower others instead of defeating myself before I even tried. What is your most proudest moment ? I was able to interview Cole Hatter, the founder of Thrive which was the first entrepreneur conference I went to 2 years ago. I feel like it has come in full circle and it was a sort of confirmation for me that I’m on the right path and am doing something that can positively impact people’s lives. It was funny because Cole’s assistant reached out to me for Cole to be on my podcast so it showed that I built a podcast and platform that people see as worth listening to and being on. I started with the intention to inspire and empower others to believe in themselves and to build a life with no regrets, and the fact that I’ve received messages from people that my podcast has helped them is something that I’m proud of. What are your top 3 lessons for success as an entrepreneur or life lessons in general? The first lesson would be that you have to have the right intention and vision before you even start. You need to know your “why” and this will keep you going when things get rough and when you feel like giving up. Second is that the entrepreneur life isn’t easy. I am still working to build financial freedom for myself and this isn’t something that comes easily. You need to fail, learn, and get back up again but the important thing is to never to let failure define you but to use it as a lesson to improve as a person and in your business. Lastly, I would say don’t forget about those who matter most in your life. I believe people are above possessions so don’t get caught up when you start making money and lose sight of those who matter most to you. I intentionally spend time with my family and friends even when there is a lot of things to do because at the end of the day I want to let those I love know that they matter to me more than my work and that my work doesn’t define me as a person. How did you stumble upon Instagram as a gold mine and build a network of pages ? I first learned about Instagram as a powerful traffic source when I used it to drive traffic to my websites where I planned to set ads to make money. I eventually left building websites and trying to do SEO to learn Instagram full-time. Since then I’ve networked a lot and been learning the ins and outs of Instagram to build my own pages. Now I know a lot of big influencers in the Instagram space and have interviewed some of them on my podcast as well. Who has been a mentor or guiding force for you in life and/or business ? My faith in God has been the most important guiding force in my life and business because that is where a lot of my values and beliefs come from. The fact that I’m able to treat everyone has a human being and not look at them based on the number of followers is something that I don’t think I would have if I did not have a relationship with God. Also a lot of the values that are taught in the Bible like loving your family, loving your neighbor, and to not let money or possessions influence your view of people are just some of the important values that I hold onto and live by. What would be your advice for people that maybe lost currently or don’t know what to do with their lives? My advice for those who are currently lost or don’t know what to do with their life is to first try. Don’t defeat yourself before you even try. I didn’t know many Asian podcasters and there was also a lot of competition at the time, but I didn’t let that stop me from doing something that I thought would be able to help others. If there’s an idea you always had in the back of your mind that you think would be cool to do or fun, then try it and you would be surprised at how far you can take it if you put in the time and effort. Also listen to podcasts, read books, go to events, and learn from as many people as you can since investing in yourself is the best investment you can make for yourself. And lastly, know that you’re not alone. The people who stand out and make it are those who even in the face of doubt and uncertainty still take action and that is what separates true leaders from those who just talk about it. And like Steve Jobs said,”You can’t connect the dots looking forward; you can only connect them looking backwards. So you have to trust that the dots will somehow connect in your future. You have to trust in something – your gut, destiny, life, karma, whatever.